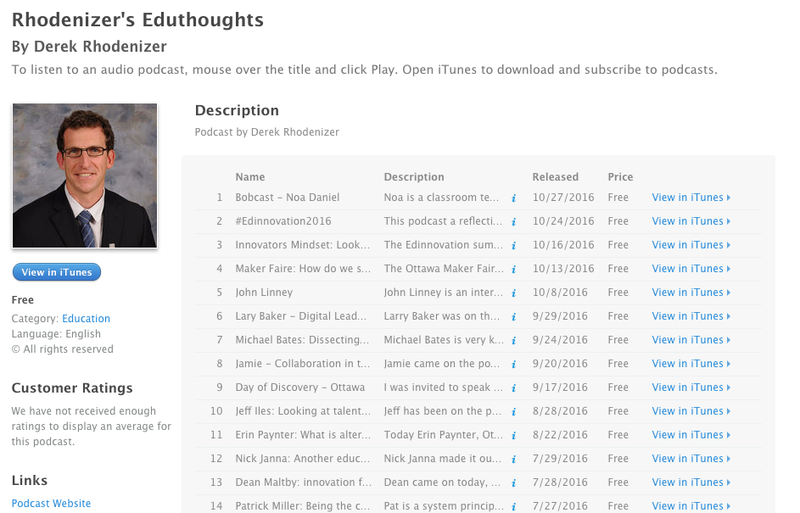 ​Rhodenizer's Eduthoughts "I didn't realize it fully at first but the podcast has become amazing PD. Technology does a great job to let teachers reflect and connect. The podcast does both for me. Broadcasting it hopefully shares the learning with others."